IMPORTANT! If you are unsure what size valve you need, consult our Interactive Valve Sizing App or the UV-5AT Valve Sizing PDF. The only difference between the UV-5AT and the UV-5BT valves is the position of the Tank Port. It is located at the back of the UV-5AT valve and at the bottom of the UV-5BT. Valve sizing, parts, and accessories are identical. If you still are unsure, fill out the Control Valve Quote form. If you don't require constant down speed control, order the UV-5BT. 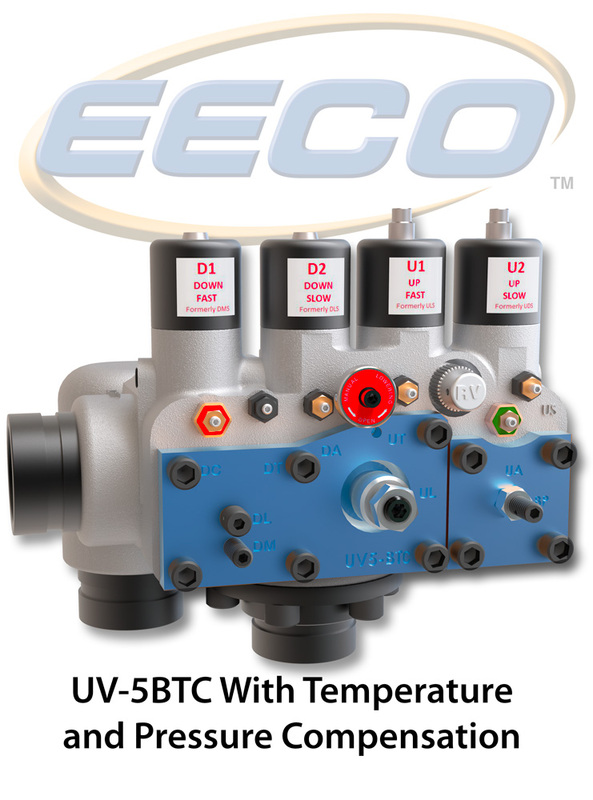 The EECO UV-5BTC Compensated hydraulic control valve is an optional configuration of our new UV-5BT valve. The UV-5BTC offers both Temperature Compensation over its entire operational temperature range (80 to 150 degrees F) as well as Pressure Compensation which maintains Constant Down Speed between no load and full load conditions. 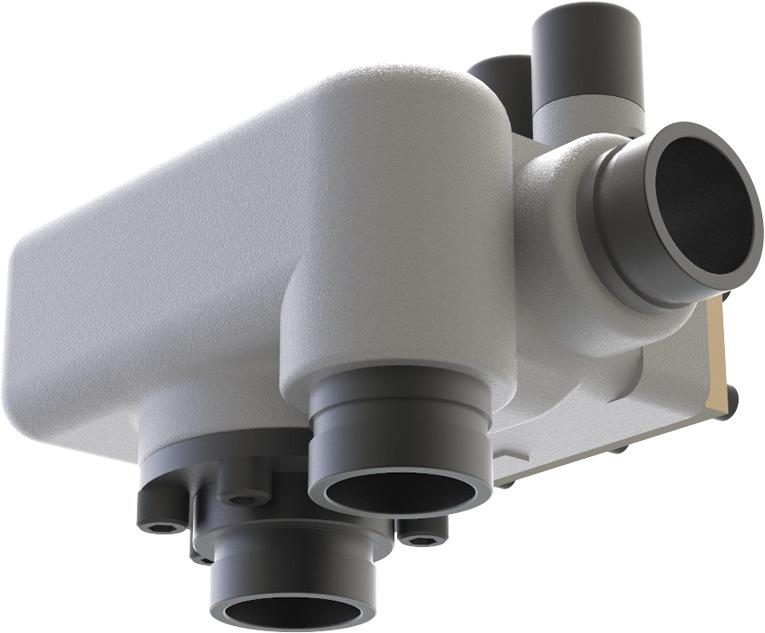 The relocated downward facing Tank Port allows more flexibility in power unit design. The UV-5BTC is also available with a right hand jack port Adapter.